VERY NEW!! Pharmacogenomic Prediction of Anthracycline-Induced Cardiotoxicity in Children. (20110910) 著者：Visscher H, Ross CJ, Rassekh SR, Barhdadi A, Dubé MP, Al-Saloos H, Sandor GS, Caron HN, van Dalen EC, Kremer LC, van der Pal HJ, Brown AM, Rogers PC, Phillips MS, Rieder MJ, Carleton BC, Hayden MR.
Emma Children's Hospital/Academic Medical Center, Amsterdam, the Netherlands. 著者：Ishida Y, Honda M, Kamibeppu K, Ozono S, Okamura J, Asami K, Maeda N, Sakamoto N, Inada H, Iwai T, Kakee N, Horibe K.
掲載誌：Int J Hematol. 2011 May;93(5):633-44. １）Ishida Y, Honda M, Ozono S, Okamura J, Asami K, Maeda N,et al. Late effects and quality of life of childhood cancer survivors:part 1. Impact of stem cell transplantation. Int J Hematol.2010;91(5):865–76. ２）Ishida Y, Sakamoto N, Kamibeppu K, Kakee N, Iwai T, Ozono S,et al. Late effects and quality of life of childhood cancer survivors:part 2. Impact of radiotherapy. Int J Hematol. 2010;92(1): 95–104. 選択 21761400 Patterns of chemotherapy-induced toxicities in younger children and adolescents with rhabdomyosarcoma: A Report From the Children's Oncology Group Soft Tissue Sarcoma Committee. 選択 21760593 Gene expression profiling in the leukemic stem cell-enriched CD34(+) fraction identifies target genes that predict prognosis in normal karyotype AML. 選択 21760591 CD73 (5'-nucleotidase) expression has no prognostic value in children with acute lymphoblastic leukemia. 選択 21760490 Assessing Psychological Adjustment in Siblings of Children With Cancer: Parents' Perspectives. 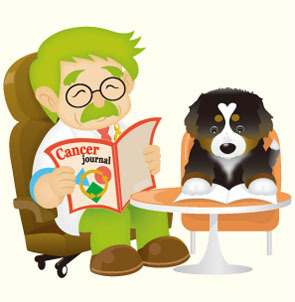 選択 21760487 A Symptom Checklist for Children With Cancer: The Therapy-Related Symptom Checklist-Children. 選択 21760485 "Motherhood" in the Context of Living With Breast Cancer. 選択 21760484 How Siblings of Pediatric Cancer Patients Experience the First Time After Diagnosis: A Qualitative Study. 選択 21757444 Predicting outcome of children with diffuse intrinsic pontine gliomas using multiparametric imaging. 選択 21755594 Treatment of recurrent CNS disease post-bone marrow transplant in familial HLH. 選択 21755593 Retinoic acid fails to induce cell cycle arrest with myogenic differentiation in rhabdomyosarcoma. 選択 21755591 Psychosocial services in the first 30 days after diagnosis: Results of a web-based survey of children's oncology group (COG) member institutions. 選択 21755590 Clinical advances in hemophilia management. 選択 21755589 Xmn1-(G) γ polymorphism and clinical predictors of severity of disease in β-thalassemia intermedia. 選択 21752636 Child maltreatment and breast cancer survivors: Social support makes a difference for quality of life, fatigue and cancer stress. 選択 21752159 Intracranial haemorrhage in the Italian population of haemophilia patients with and without inhibitors. 選択 21752017 Influence of percutaneous endoscopic gastrostomy on gastro-oesophageal reflux evaluated by multiple intraluminal impedance in children with neurological impairment. 選択 21751886 Metastatic Medullary Thyroid Cancer Presenting with Elevated Levels of CA 19-9 and CA 125. 選択 21751206 Rhabdomyosarcoma in adolescents: A report from the AIEOP Soft Tissue Sarcoma Committee. 選択 21750554 A telephone survey of cancer awareness among frontline staff: informing training needs. 選択 21750009 Childhood cancer and nuclear power plants in Switzerland: a census-based cohort study. 選択 21749625 Consequences of hyperemesis gravidarum for offspring: a systematic review and meta-analysis. 選択 21748400 Intracranial hemorrhage in children with congenital factor deficiencies. 選択 21748293 Childhood factors associated with mammographic density in adult women. 選択 21748258 Posttraumatic stress symptom (PTSS) and posttraumatic growth (PTG) in parents of childhood, adolescent and young adult patients with high-grade osteosarcoma. 選択 21746917 Targeted Sos1 deletion reveals its critical role in early T-cell development. 選択 21746909 Tumor suppressor p53 regulates bile acid homeostasis via small heterodimer partner. 選択 21746762 Primitive chest wall neuroectodermal tumor in a pediatric patient. 選択 21745356 Identification of Transcriptional Regulatory Networks Specific to Pilocytic Astrocytoma. 選択 21743503 Reduced-intensity conditioning hematopoietic SCT for pediatric patients with LAD-1: clinical efficacy and importance of chimerism. 選択 21743499 Current status of allogeneic HST for chronic myelomonocytic leukemia. 選択 21741597 MLL-Rearranged Leukemia Is Dependent on Aberrant H3K79 Methylation by DOT1L. 選択 21724574 MR Imaging of Parotid Tumors: Typical Lesion Characteristics in MR Imaging Improve Discrimination between Benign and Malignant Disease. 選択 21694723 Targeting colon cancer stem cells using a new curcumin analogue, GO-Y030. 選択 21680537 Circulating Insulin-like Growth Factor-I in Pregnancy and Maternal Risk of Breast Cancer. 選択 21653689 Population Analysis of Erlotinib in Adults and Children Reveals Pharmacokinetic Characteristics as the Main Factor Explaining Tolerance Particularities in Children. 選択 21636786 From the Cover: Increased Wingless (Wnt) signaling in pituitary progenitor/stem cells gives rise to pituitary tumors in mice and humans. 選択 21613256 High success rate of hematopoietic cell transplantation regardless of donor source in children with very high-risk leukemia. 選択 21610151 Genetic Aberrations Leading to MAPK Pathway Activation Mediate Oncogene-Induced Senescence in Sporadic Pilocytic Astrocytomas. 選択 21562038 Escalating intravenous methotrexate improves event-free survival in children with standard-risk acute lymphoblastic leukemia: a report from the Children's Oncology Group. 選択 21557463 Local control of metastatic sites with radiation therapy in metastatic Ewing sarcoma and rhabdomyosarcoma. 選択 21557461 Nijmegen breakage syndrome (NBS) as a risk factor for CNS involvement in childhood acute lymphoblastic leukemia. 選択 21557458 Mannose-binding lectin (MBL) and the risk for febrile neutropenia and infection in pediatric oncology patients with chemotherapy. 選択 21557457 Feasibility and efficacy of repeated chemotherapy for progressive pediatric low-grade gliomas. 選択 21557456 Continuous and high-dose cytarabine combined chemotherapy in children with down syndrome and acute myeloid leukemia: Report from the Japanese children's cancer and leukemia study group (JCCLSG) AML 9805 down study. 選択 21543327 Identification of dihydroceramide desaturase as a direct in vitro target for fenretinide. 選択 21543162 Proton beam therapy for hepatocellular carcinoma located adjacent to the alimentary tract. 選択 21480471 What's up with down syndrome and leukemia-A lot! 選択 21465639 Health-related quality of life (HRQOL) among pediatric leukemia patients in Malaysia. 選択 21465636 Higher dose imatinib for children with de novo chronic phase chronic myelogenous leukemia: a report from the Children's Oncology Group. 選択 21462301 Application of flow cytometry in pediatric hematology-oncology. 選択 21412967 Second neoplasm in children treated in EORTC 58881 trial for acute lymphoblastic malignancies: low incidence of CNS tumours. 選択 21400656 Theoretical and clinical implications of using an ADHD framework to understand attention, concentration, and executive functioning deficits in pediatric cancer survivors. 選択 21394895 No advantage of a rotational continuation phase in acute lymphoblastic leukemia in childhood treated with a BFM back-bone therapy. 選択 21384537 Treatment of Ewing sarcoma family of tumors with a modified P6 protocol in children and adolescents. 選択 21381188 Carboplatin-based chemotherapy and surgery: a cost effective treatment strategy for malignant extracranial germ cell tumours in the developing world. 選択 21370437 Minimal residual disease detected prior to hematopoietic cell transplantation. 選択 21337681 ADHD and secondary ADHD criteria fail to identify many at-risk survivors of pediatric ALL and brain tumor. 選択 21328524 Perspectives on quality and content of information on the internet for adolescents with cancer. 選択 21328523 Auditory complications in childhood cancer survivors: a report from the childhood cancer survivor study. 選択 21298768 Local control and outcome in children with localized vaginal rhabdomyosarcoma: a report from the Soft Tissue Sarcoma committee of the Children's Oncology Group. 選択 21284078 Increasing diversity in pediatric hematology/oncology. 選択 21265011 Risk of azole-enhanced vincristine neurotoxicity in pediatric patients with hematological malignancies: old problem - new dilemma. 選択 21264839 Phase 2 trial of bevacizumab, capecitabine, and oxaliplatin in treatment of advanced hepatocellular carcinoma. 選択 21246528 Histology predicts a favorable outcome in young children with desmoplastic medulloblastoma: A report from the children's oncology group. 選択 21220190 Glioblastoma in children: a single-institution experience. 選択 21167659 Lowering whole-body radiation doses in pediatric intensity-modulated radiotherapy through the use of unflattened photon beams. 選択 21034763 Bioavailability of soy isoflavones through placental/lactational transfer and soy food. 選択 20680885 Dyadic concordance among prostate cancer patients and their partners and health-related quality of life: Does it matter? 選択 20542386 Regional Nodal Involvement and Patterns of Spread Along In-Transit Pathways in Children With Rhabdomyosarcoma of the Extremity: A Report From the Children's Oncology Group.